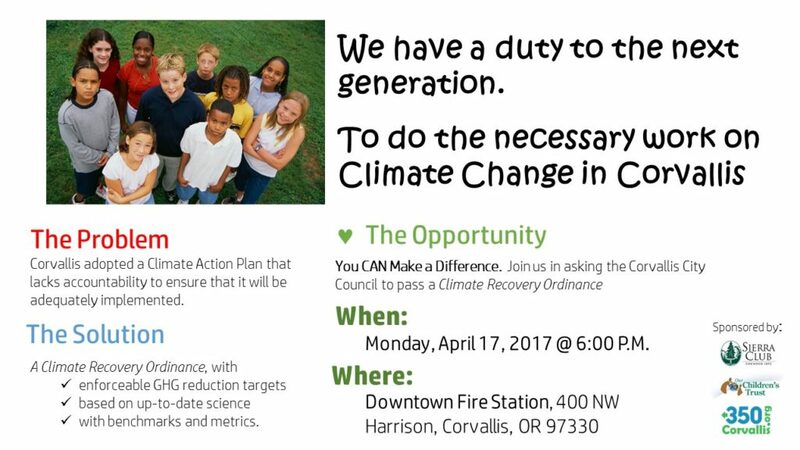 Join us on April 17th as we ask the Corvallis City Council to commit to measurable emissions reductions! City Council meets on Monday, April 17th at 6:00pm at the Downtown Fire Station. The YouCAN Corvallis team will be submitting our Climate Recovery Ordinance for consideration, and testifying to its necessity. All citizens are welcome to attend, and to express support for this measure through testimony or supportive presence. 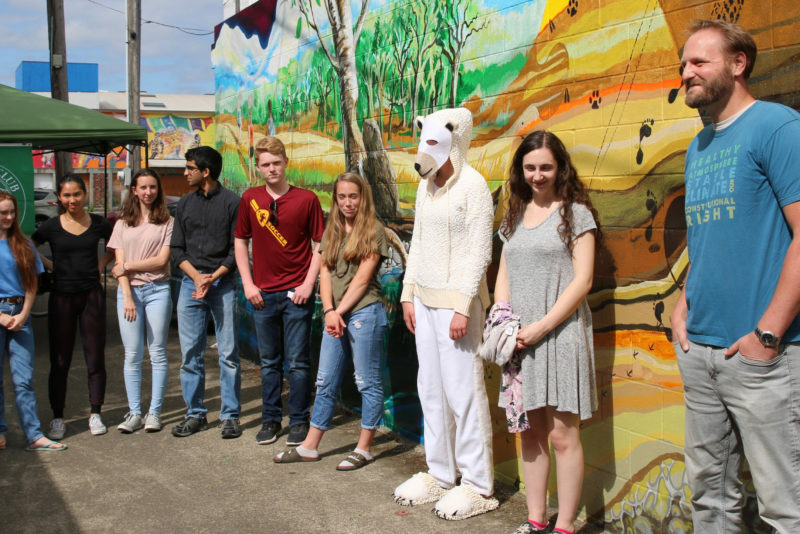 In the meantime, remember to add your name to our list of supporters, at https://www.change.org/p/city-of-corvallis-establish-the-corvallis-greenhouse-gas-target-into-law.